Here at CiteAb we are always very interested in scientific publishing, and we recently had a discussion with Katherine Brown, executive editor at Development, about the journal’s fascinating past and what its future might hold. Development is published by ‘The Company of Biologists’, a not-for-profit charitable organization run by biologists for the benefit of the biological community. The Company of Biologists was set up in 1925 to rescue the British Journal of Experimental Biology (now Journal of Experimental Biology). Over the next thirty years the Company was gifted a further two journals, The Journal of Embryology and Experimental Morphology (later renamed Development) and The Quarterly Journal of Microscopical Science (now Journal of Cell Science). The Company later launched two open access journals – ‘Disease Models & Mechanisms’ and ‘Biology Open’. In 1952, the Company of Biologists became a registered charity, with the aim of supporting the international biological community. It has since pumped funds back into the scientific community through a variety of means, with all charitable activities overseen by a board of directors who are practicing scientists. Today, Development operates under a hybrid publishing model, with 15 – 20% of its content published as open access. Authors are given an option to publish open access, and after 6 months all articles are made open access through the green route. With its team of academic editors managing the peer review process, the journal offers a prestigious outlet through which researchers can publish cutting-edge research articles across the spectrum of plant and animal development. What makes Development and its sister journals different from many other journals is how the profits from publishing are used for the benefit of the community. We asked Katherine about some of these innovations. The first she shared with us was the journals ‘travelling fellowship scheme’, offering fellowships of up to £2,500 or currency equivalent to graduate students and post-doctoral researchers wishing to make collaborative visits to other laboratories. There is no restriction on the nationality of applicants, and the fellowships are made available through The Company of Biologists’ grants program. The second feature Katherine told us about was Development’s blog, the Node. However, the Node goes beyond being a regular blog, acting as a place for developmental biologists to share news and information about developmental biology, and to debate and discuss relevant topics with each other. One of the features of Development Katherine seems most proud of is the company’s contribution to the community through running a series of targeted workshops, filling a gap in the meetings calendar and giving researchers an opportunity meet and discuss a range of topics. The workshops, which Development initiated five years ago, have been extremely popular, and the opportunity they create for researchers to meet has resulted in the establishment of new collaborations. To learn more about Development visit the journal’s website, or see the Company of Biologists webpages. 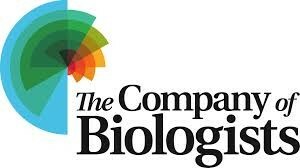 Have you published with Development or another Company of Biologists journal? Let us know about your experience in the comments box below.